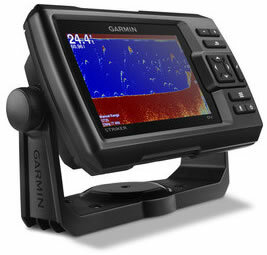 The Garmin STRIKER 5cv is a Fishfinder and also features GPS technology. The screen size is 5-inch with keypad control. The included Transducer and Sonar will allow you to view beneath your boat for finding fish under your boat. Garmin STRIKER 5cv has been discontinued. The replacement model is the Garmin STRIKER Plus 5cv. 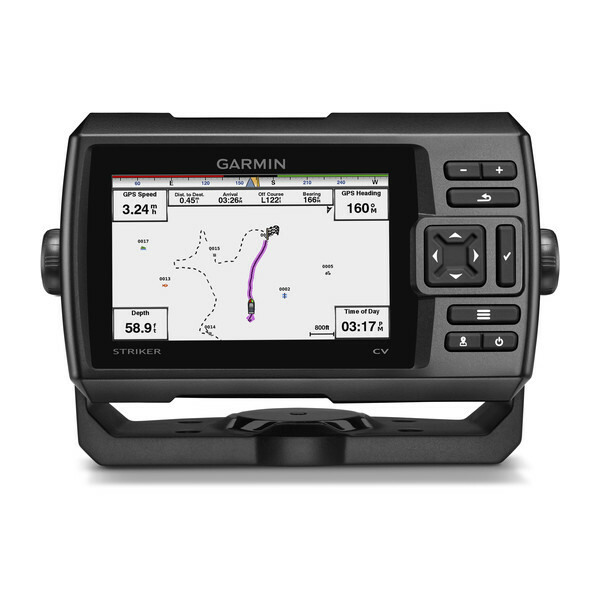 View accessories for the Garmin STRIKER 5cv. 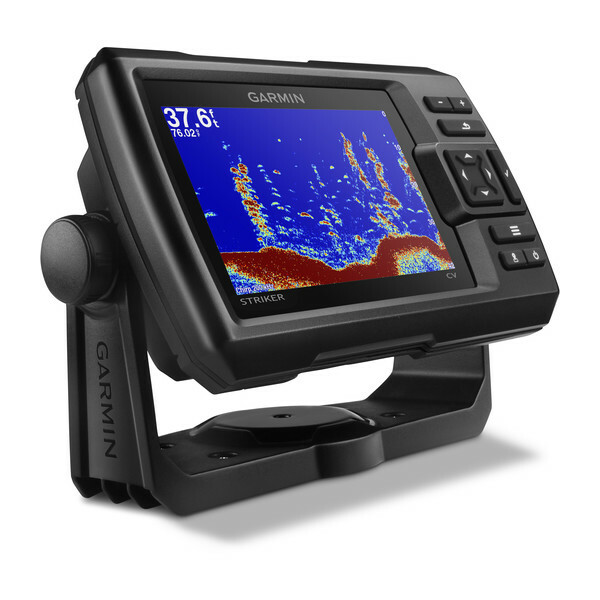 The Garmin STRIKER 5cv is a fishfinder with GPS technology and CHIRP Sonar. The screen on the STRIKER 5cv is 5-inch colour display. With the STRIKER 5cv you will get CHIRP Traditional Sonar, Sonar History Rewind, Waypoint Map, Boat Speed Display and Built-in Flasher. The STRIKER 5cv includes a Garmin GT20 transducer with CHIRP 77/200kHz, 455/800 kHz CHIRP DownVu with transmit power of 300W RMS/2,400 peak-to-peak. The GT20 transducer must be mounted. 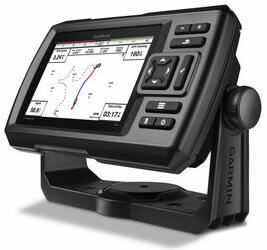 The Garmin GT20 transducer has a transom mount for use on a boat whereby the boat should be an outboard powered vessel. This transducer includes down vision. If you would like to purchase a Garmin STRIKER with a larger or smaller screen size then there is a 3.5-inch (STRIKER 4cv) and 7-inch (STRIKER 7cv) model available too. Smooth scaling software technology for depth range adjustments is also provided with the Garmin STRIKER 5cv. 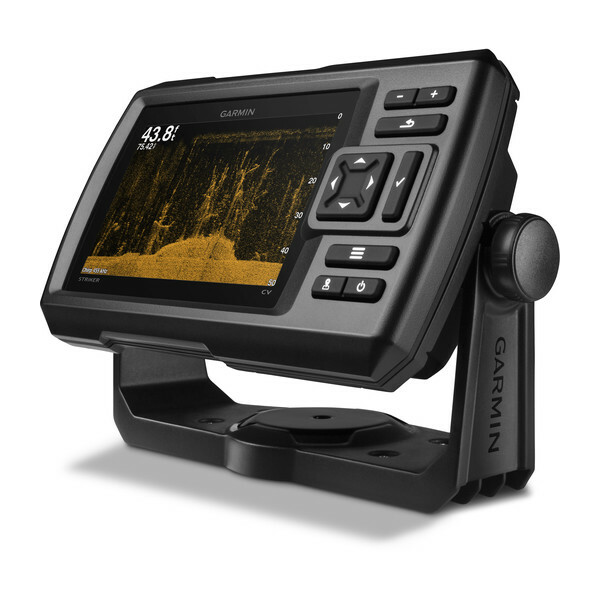 The Garmin STRIKER 5cv includes a tilt mount for mounting on your boat or yacht. 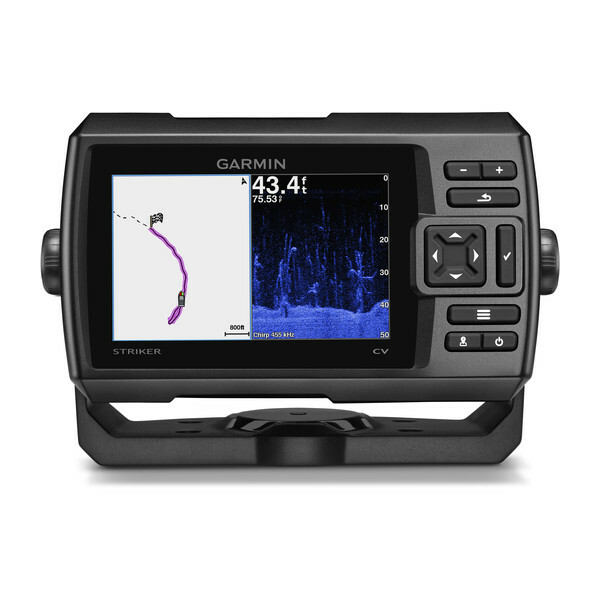 The Garmin GT20 Transducer included is for use on a boat whereby the boat should be an outboard powered vessel. 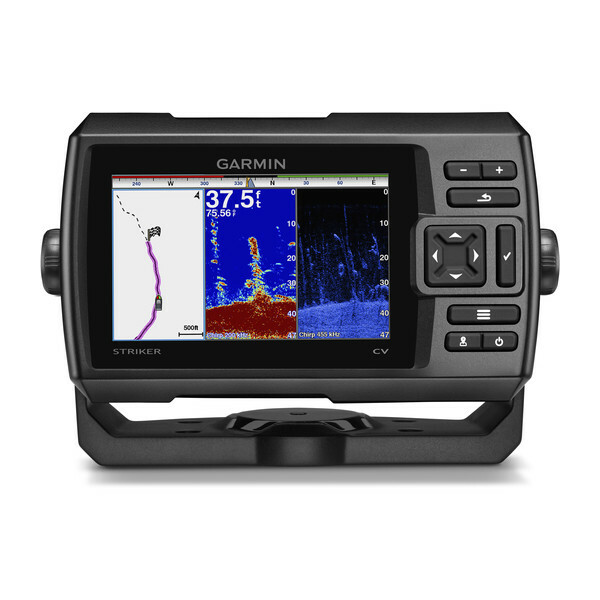 You will be able to see the view of the water below your boat/yacht as Garmin DownVu features on this Garmin device. Looking for Garmin STRIKER 5cv accessories? Accessories available to purchase include protective cover, tilt and swivel mount and flush mount kit. If you'd like to add a transducer to your STRIKER 5cv please see Garmin transducer page.